Last week I visited a friend in Abbey Wood and took a couple of pics of the Crossrail station works. 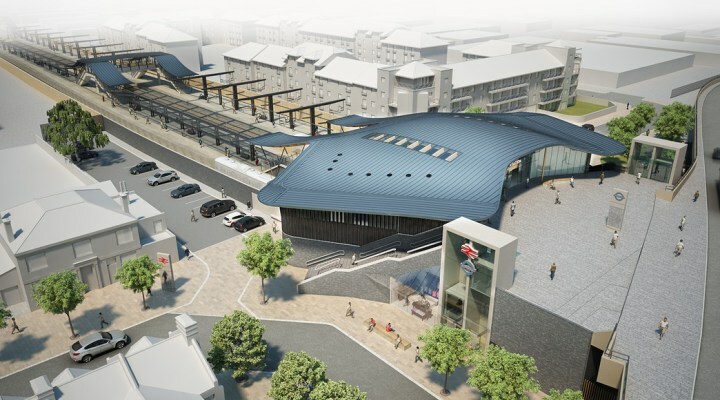 The station car park has closed for the imminent demolition of the existing station and construction of a temporary replacement, whilst the impressive new terminal station is built. 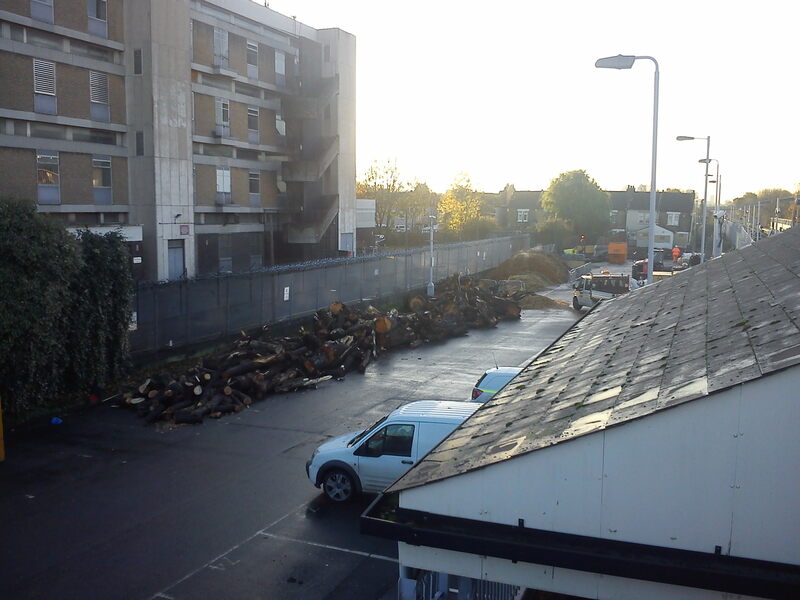 The old car park, as seen above, is slowly becoming a work site. I was surprised to see just how many staff are now working along the rail corridor from Plumstead to Abbey Wood, both at the station and alongside the track. 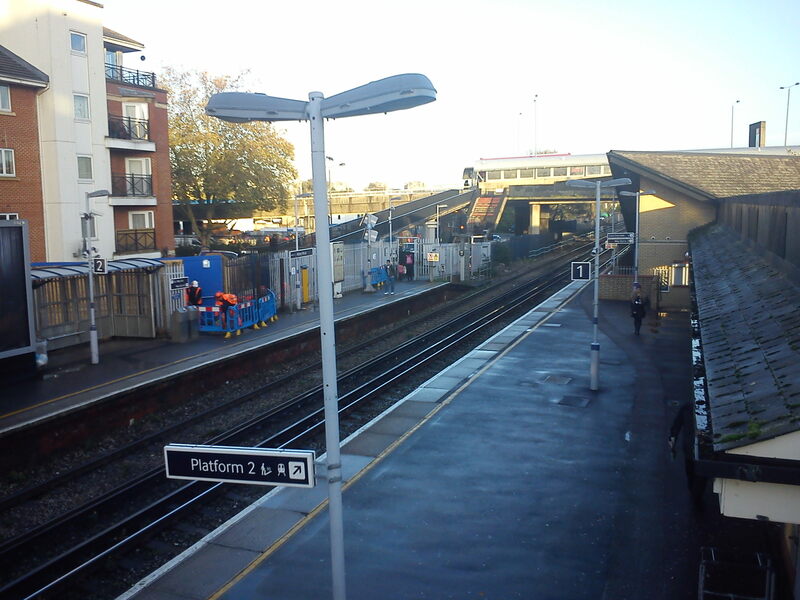 The old 1970s walkways, as seen in the photo below beyond the platform, will soon be demolished according to a letter Crossrail have sent out. The station buildings to the right are also going, and the entrance/exit on the left moved. The new temporary entrance can be seen next to the workmen. Other work beginning imminently is the removal, or reconstruction, of all bridges crossing the rail lines from Abbey Wood to Plumstead. Pedestrian crossings will be demolished and replaced, while road crossings will be altered. I also visited second floor studios on Woolwich by the river. This is located on an industrial estate close to Charlton, and the soon to be demolished Morris Walk estate. It was open studios weekend and I was surprised at just how many studios there are. It is home to 270 artists. The range and quality of work on display was fantastic. There is a dedicated gallery on site. I was not even away of the studios until recently. It is something that is a real asset to the area and hopefully promoted far more widely. There is also a canteen on site offering lunch for a around a fiver, as well as views over the Thames and the former Mersey River ferry Iris from Liverpool now decaying on the riverbank. Much of SE London severely lacks decent art, cultural, and live music places. How about encouraging the artists and studios to expand work and display in Woolwich & Charlton? Greenwich council could perhaps allow ‘pop up’ gallery spaces for a peppercorn rent in Woolwich town centre? Cafes & bars could exist on site or in other cheap units. Similar things have happened in other parts of London and other UK cities to bring some spark and vitality. On the subject of culture one of the very few places in Woolwich that does exist is the Woolwich Grand Theatre. It puts on theatre, film showings, events for children amongst others. A planning application has just gone in to demolish the building and build flat. Click here to see it. The petition can be signed here to list the building as an asset of community value. Woolwich is hopefully on the up after decades of decline. Demolishing the Woolwich Grand would be a massively retrogressive step. The place has lost three cinemas as well as many pubs and live music venues over the years. Knocking down one place that could help rejuvenate the town would be a foolish move and do nothing to change the (often justified) image of the town. A render of the flats in for planning can be seen below. Hi, Regarding the woolwich grand theatre, wouldn’t this also need a change of usage from commercial/public to private? Surely they would need to take into account the absolute derth of such locations in the area.